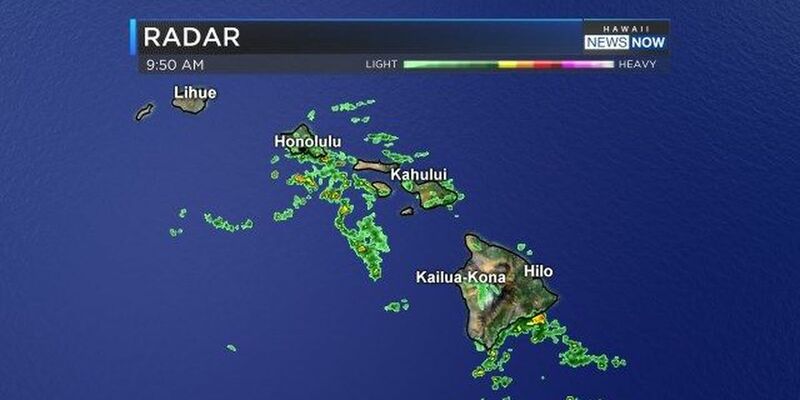 HONOLULU (HawaiiNewsNow) - Drier weather is expected to move in for Monday as trade winds make their long-awaited return. A strong surface high pressure area has developed to the north of the islands, bringing light to moderate trade winds that are pushing heavy showers away to the southwest. The trades are forecast to carry a band of showers over the state on Tuesday, and the weather could remain a bit wet and cloudy for windward areas through Wednesday. Enjoy the trade winds while you can. Forecast models are hinting that there could be another round of unsettled wet weather again this coming weekend.